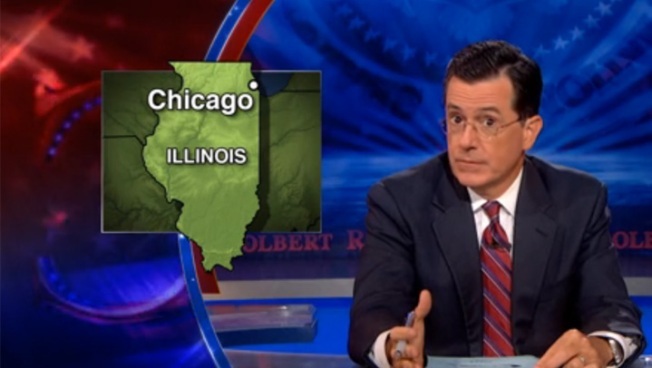 Comedian Stephen Colbert uses Chicago to make a point about Syria. Perhaps there's no bigger sign of how bad Chicago's gun violence is -- or how outsiders perceive it to be -- than the individuals discussing Middle East violence and Chicago's gun violence in the same breath. On Tuesday night, it was talk show host Stephen Colbert's turn to use Chicago to make his point about Syrian violence. Colbert said Assad is "killing his own people with chemical weapons. Before he was just killing them with bullets. But if America cared about shooting people, we'd be invading Chicago." Earlier Tuesday, former Secretary of Defense Donald Rumsfeld compared the current violence in Iraq to violence on Chicago's streets. The Chicago Police Department released new statistics about crime in the city, and they show overall crime is down compared to the same period last year. Other political types such as George Pataki and Newt Gingrich have also used Chicago to make points about policing and gun control. Chicago Police say violence is down in the city. There were 47 fewer shootings last month than in August of 2012 and six fewer murders, Police News Affairs spokesman Adam Collins said. The city also saw a 23 percent dip in murders and a 15 percent decrease in overall crime so far this year. Colbert's comments on Chicago begin at 3:35. After a violent Labor Day weekend in Chicago, police Supt. 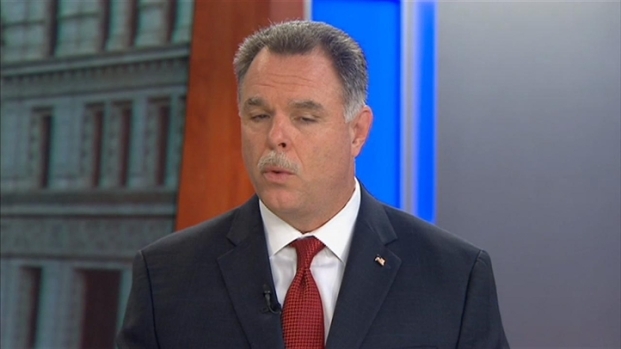 Garry McCarthy notes murders, shootings and overall crime are down year-over-year.